Adams & Soderstrum Funeral Home understands the importance of honoring the life and memory of a loved one. Tailoring a ceremony to best commemorate one's life is something the staff at Adams & Soderstrum Funeral Home are prepared to assist you with. They are committed to helping people during difficult times in life. Monday-Thursday 9:00 a.m.- 9:00 p.m.
Friday-Saturday 9:00 a.m.- 6:00 p.m.
Sunday 1:00 p.m.- 5:00 p.m. The Ames Public Library plays an important role in the life of the community. Whether you are looking for peace and quiet to read a book, a fun place for your kids, or an area to study; the library is the place to go. The Ames Public Library also features a variety of events and classes. There's something for everyone. For more information regarding upcoming events, visit their website or check our calendar on the home page. 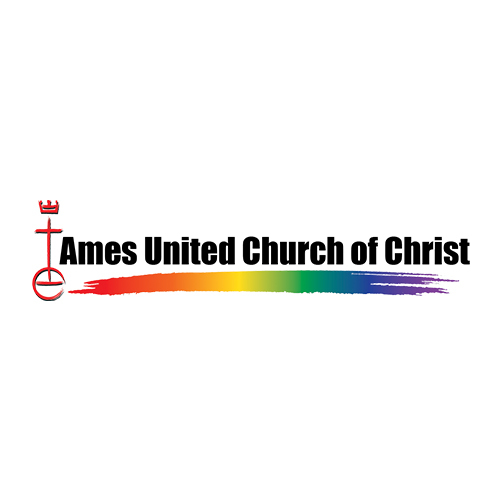 Monday-Friday 8:00 a.m.- 5:00 p.m.
Ames UCC is a theologically progressive church in historic downtown Ames, Iowa. Ames Yoga Center offers therapeutic Yoga -- a form of Hatha Yoga that unravels the tensions hidden deep in the spine resulting in gentle and profound physical changes. In Yoga, we work with gentle movements that will make deep changes in your body and your mind, clearing out old mental and emotional patterns and at the same time increasing both strength and flexibility. The practice has truly profound and lasting effects on the body, as well as mind and spirit.This type of opening helps to access states of bliss or inner joy. Andrea Dahlberg is a passionate and talented photographer located in the district. She makes photos into pieces of art with her creativity.If you are looking for someone to capture the authenticity, smiles and laughter of the moment, consider booking a session with Andrea Dahlberg Photography. Monday-Friday 9:00 a.m.- 5:00 p.m.
Cross Wealth Management specializes in helping clients save and plan for retirement, income planning and group benefits.Working with individuals at various life-stages, the Cross Wealth Management team cares about people and builds lasting relationships with clients. 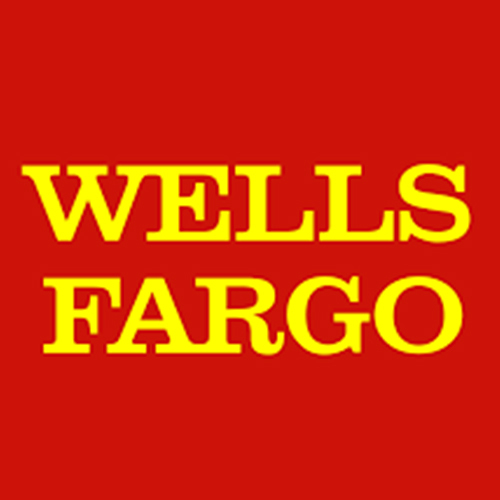 Their services include offering financial guidance as well as plans for business competitive benefits firms seek to develop for employees, and more. Saturday 8:30 a.m.- 12:30 p.m.
Friedrich Iowa Realty is an independently owned and operated real estate brokerage. Dedicated to providing you with the best services and best sales team, Friedrich Iowa Realty is ready to meet you! Are you selling your house and/or looking to finding a new home? From extensive property searches of Iowa real estate to relocation assistance to professional advice and more; Friedrich Iowa Realty has the tools you need to have a friendly, professional home-buying or selling experience. 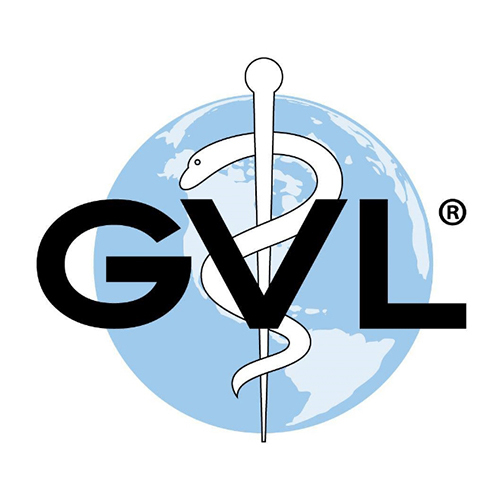 Based in Ames, Global VetLink is dedicated to providing animal health practitioners solutions to quickly and accurately create digital professional health documents. Haila Architecture Structure Planning Ltd.
Monday-Thursday 7:30 a.m.- 5:30 p.m.
Friday 7:30 a.m.- 12:00 p.m.
Saturday 8:00 a.m.- 11:00 a.m.
His & Hers is a full service salon that offers hairstyling for men and women. They also provide nail and skin care, waxing services, and personal care products. KASI 1430 Ames' only source for news talk radio! Click Here! Friday 9:00 a.m.- 4:30 p.m.
Knapp Tedesco is an independent, multi-lines agency that provides home, auto and business insurance; for owners as well as renters. They also provide insurance for recreational vehicles (boat, RV, motorcycle, ATV, airplane). For those who operate or own a business, Knapp Tedesco offers options and insurance plans such as general liability, commercial property and vehicles, workers compensation and bonding. Knapp Tedesco also insures individuals and employee benefit groups. Health insurance, life insurance, disability, dental, vision and Medicare supplemental insurance are offered as well. 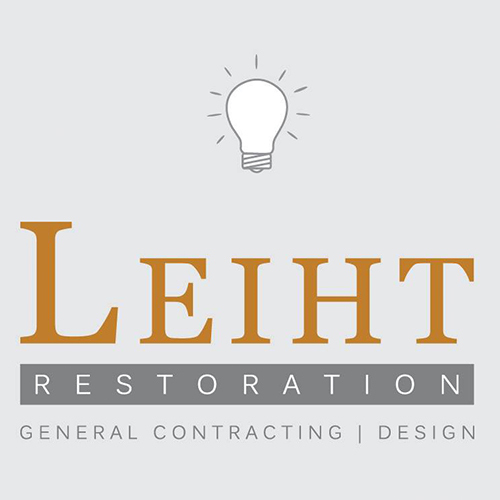 Leiht Restoration is committed to restoring value in clients’ homes, and making our projects an experience that makes doing business with us a pleasure. Our valued customers throughout the Central Iowa area know that Neighbors is the right company to meet any heating or cooling need, whether residential or commercial. Neighbors is also your first choice for expert, quality geothermal comfort systems and radon mitigation. For over 25 years, Neighbors has provided the highest quality of products coupled with professionally trained expert service technicians to deliver the greatest value at the best cost. Our mission will always be providing complete 100% customer satisfaction - GUARANTEED! Premier Credit Union began as Bankers Life Employees Credit Union on September 11, 1933. The purpose of the credit union was to promote savings and in turn offer affordable loans to its members. 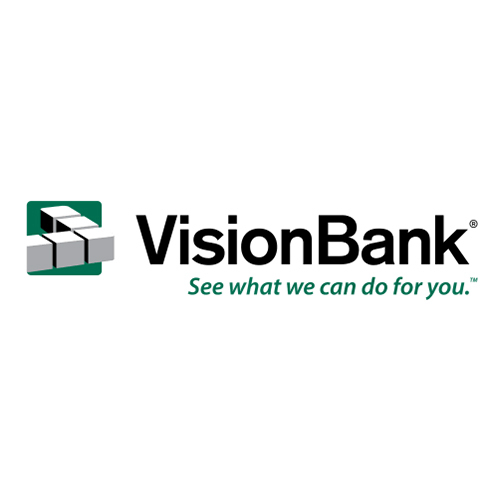 Only employees and retirees of Bankers Life Company and their families were eligible to join the credit union. In 1986 when Bankers Life Company changed its name to Principal Financial Group, the credit union subsequently changed its name to Principal Financial Group Employees Credit Union. The credit union's name changed again in 2001 to its current name, Premier Credit Union. 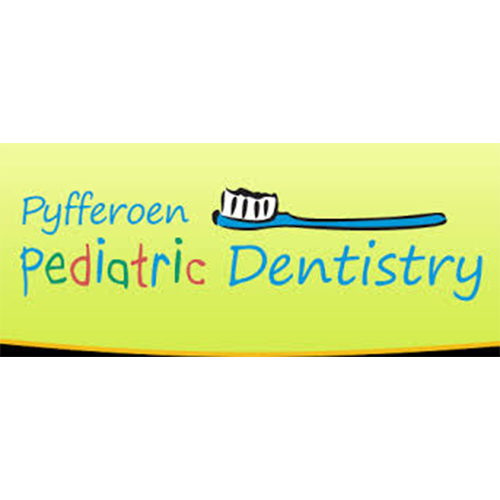 Pyfferoen Pediatric Dentistry specializes in oral health care for infants, children and adolescents as well as children with special health care needs. Dr. Matt and his team are committed to providing quality oral health care to children. With a kid-friendly atmosphere, your children are sure to have a positive dental experience. 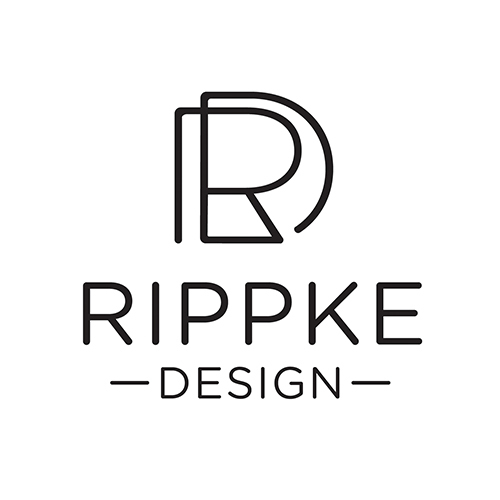 Rippke Design is a full service creative design studios specializing in GRAPHIC DESIGN and WEB DEVELOPMENT, LOGOS/BRANDING, RESPONSIVE WEB DESIGN, MARKETING COLLATERAL, PUBLICATION & SPECIAL EVENT DESIGN. 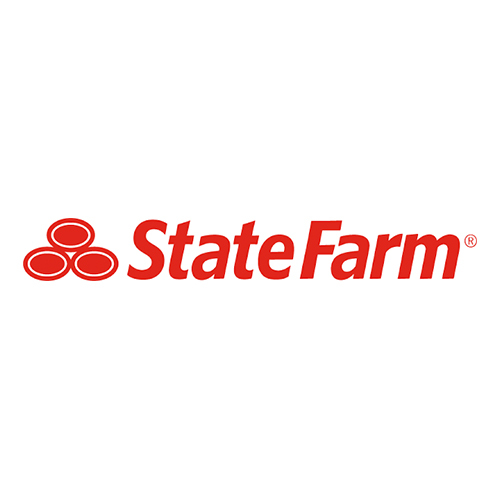 Their mission is to help policyholders manage the risks of everyday life and to be the first and preferred choice for all of Iowa insurance needs. Scott Richardson and his team focus on Auto Insurance, Home Insurance, and Renters Insurance throughout Iowa, including Ames, Nevada, Boone and Story city. Monday-Thursday 8:00 a.m.- 12:00 p.m. & 1:00- 5:00 p.m.
Friday 8:00 a.m.- 1:00 p.m. This distinguished dental care provider is composed of a father and daughter team, Dr. Daniel Stoltze and Dr. Sonya Stoltze Newstrom. Stoltze & Stoltze Family Dentistry works hard to provide its patients with individualized treatment plans specifically designed to address people’s unique needs. Using state-of-the-art technology to ensure each patient receives superlative care that is both efficient and effective, you can rest assure that your teeth will be well taken care of! The Story County Community Foundation facilitates and promotes private giving through the establishment of endowments, acts as a resource for nonprofit endowment building, and awards grants for the betterment of Story County. SCCF connects donors with causes they care about, while working with community leaders and nonprofit organizations to address the needs of our community today and into the future. Monday-Friday 8:00 a.m.- 8:00 p.m.
Saturday 9:00 a.m.- 4:00 p.m. 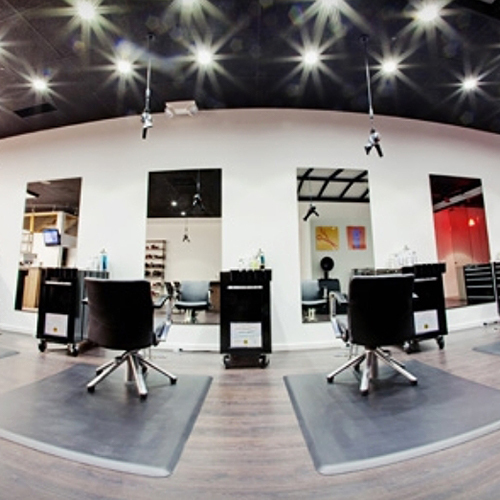 The Salon in Ames offers the latest hair styles and beauty products. Their highly trained, motivated, and courteous stylists are committed to making you feel pampered and ensuring that you don’t just “get a haircut,” but a pleasant and exiting experience as well. We have been full-time wedding photographers for over eight years. We are continually inspired by our peers in the industry. They push us to be more creative and think outside the box. We consider ourselves blessed to be able to do what we love. When we shoot weddings, we combine the traditional with the modern. We work as a team for weddings, so while Paula is capturing portraits, Michael is working to capture those candid moments. Serving Central Iowa since 1912, Triplett Companies specializes in serving real estate, insurance and property management needs. Triplett Companies' unique combination of professionalism and personal service will leave you feeling both financially secure and right at home. United Way advances the common good by focusing on education, income and health - the building blocks for a good quality of life. United Way recruits people and organizations who bring passion, expertise, and resources needed to get things done. 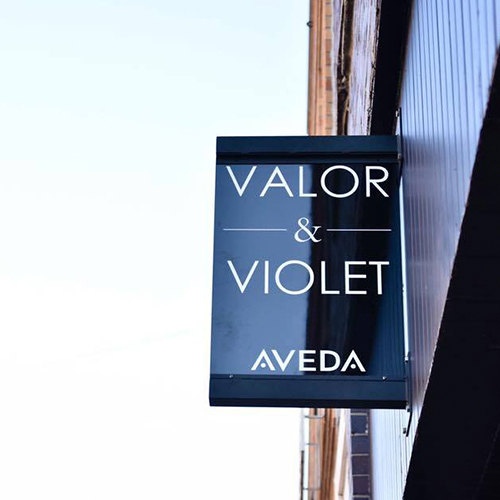 Valor & Violet, an Aveda hair salon in Ames is co-owned by Josh Duchene and Kari Camenisch. "We are passionate in what we do and are committed to providing our guests with the look to match their lifestyle." Care for the world we live in, from the products we make to the ways in which we give back to society. We strive to set an example for the environmental leadership and responsiblity, not just in the world of beauty, but around the world. Monday-Friday 9:00 a.m.- 4:00 p.m.
Saturday 9:00 a.m.- 2:00 p.m.
Monday-Thursday 8:00 a.m.- 5:30 p.m. When I opened Ames first organic hair salon, the emphasis has always been to help our clients maintain healthy hair and scalp. We are a results-centered salon, offering customized hair services from a holistic approach. Our carefully selected hair color and products support our philosophy of being as organic and natural as possible. Why Choose an Organic Hair Service? 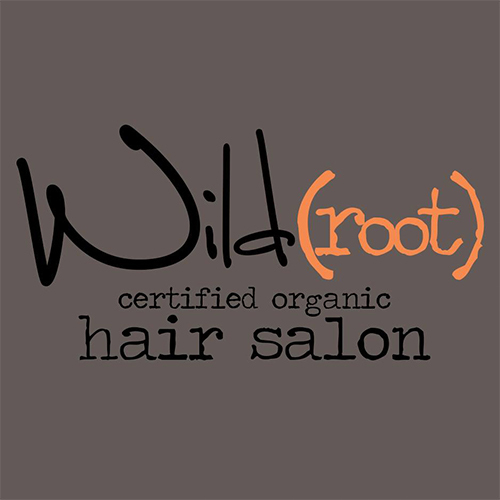 Wild Root Salon is providing healthier, more natural, organic alternatives to salon services. Standard salon products cause damage to your hair while our organic prducts and services will actually heal and repair your hair without the use of harmful and unpleasant odors and chemicals. YSS provides prevention, education, treatment and residential services to children, youth, and families. They advocate on their behalf and help them solve problems, grow, and be self-sufficient, responsible contributing members of society. YSS strives to help children, youth, and families uphold dignity, build assets, and achieve independence.